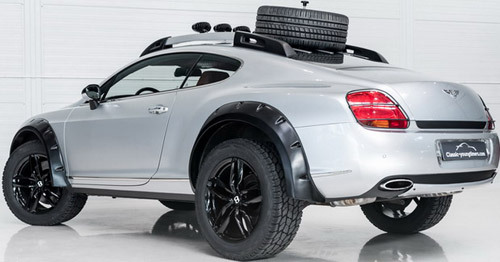 This is the unique Bentley Continental GT Off-Road, which is currently on offer by Classic Youngtimers from the Netherlands. 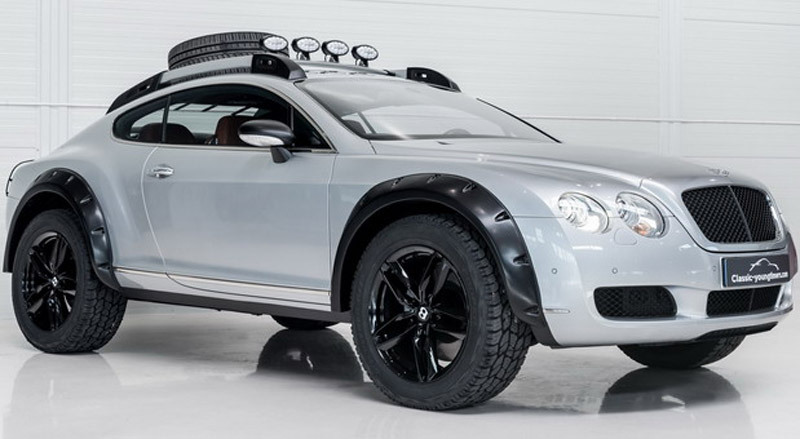 As a base served 2004 Bentley Continental GT, a luxury coupe with modified air suspension and exhaust system, additional safety features, spare wheel and LED lights on the roof, matte black mirrors and front grill, as well as all four wheel drive (wheels are otherwise 20 inches). The car has so far crossed 85,166 km and is powered by a 6.0-liter W12 twin-turbo engine with 560 hp and 650 Nm.